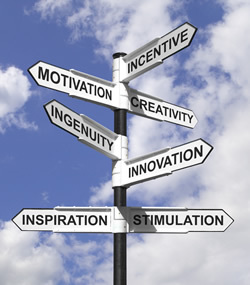 What is most likely to motivate your employees on a day to day basis? Is it the paycheck at the end of the week? Or, is it the possible profit sharing or bonuses? Is it the occasional rewards or company picnics? While all of these factors may motivate an employee to perform exceptionally well over a certain period of time, they don’t necessarily provide enough motivation for the “day to day” effort. For example, an employee may come in on a Monday morning and face an overwhelming task. What is going to motivate them to work hard even though they are still in “weekend” mode? While the pay and monthly bonuses may help, a motivating atmosphere and work environment may become the number one motivator for your employees. It is simple: a motivated employee will perform their job responsibilities better. Studies have shown that while most employees are motivated during their first six months on a new job, their initial enthusiasm and excitement slowly fades away. So, as an employer, how do you create a work environment that maintains enthusiasm each day for the long term? 1) Create tasks that are beneficial to the company. Every employee wants to feel that their job makes a difference. If an employee feels like his/her work doesn’t mean anything or isn’t actually contributing, most likely he/she will not be motivated to even accomplish the task. As an employer, ensure that a majority, if not all, of your employees’ tasks have a direct benefit or contribution to the overall success of your company. Strategically created tasks that directly affect the company will energize and motivate the employee to perform to their best ability. Example: One employee may feel that they simply answer the phones and transfer calls. They may feel that their job doesn’t necessarily affect the company’s success. Instead, let the employee know that transferring a call to the correct department can lead to improved customer satisfaction. They now know how important it is to correctly transfer calls. 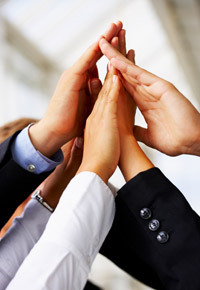 This will, in turn, motivate them to effectively and efficiently perform the job. A study performed by Leadership IQ in June of 2006 showed that 93% of employees felt that working with a low performer decreased their own productivity. Top performers should have a certain degree of self-motivation to begin with. Example: Two or three team members are consistent complainers and habitually absent. They express little to no desire to view their work as direct contributions to the company’s success. Their attitudes and lack of motivation begins rubbing off on other employees. Employees will feed off of their coworkers’ attitudes, motivation, and performance. Hire top performers to create a stimulating atmosphere amongst all your employees. Appreciation can be a simple “good job” or “nice work.” It will only take a few moments out of your day to show your employees that you notice their outstanding work. Example: An employee worked weeks on a project that in turn increased profits for your company. However, you’ve lately noticed that employee taking longer breaks and neglecting their work. Chances are, your lack of praise made the employee feel unappreciated. Instead, offering simple words of praise and appreciation will motivate the employee to maintain and even increase their adeptness. A goal is a result that someone is expecting to achieve successfully in a designated amount of time. Create a list of goals that an employee or the overall company could reasonably attain. Choose somewhere to display the goals. Example: Although you’ve implemented a list of goals, you notice that the employees are not exactly tackling them. While you may think that creating and hanging the list up is enough, you may have missed one crucial element: a time-line. When the employee knows when exactly you expect the goal to be accomplished, they will become motivated to meet a specific deadline. Show that you trust your employees to make the right decisions for the overall well-being of the company. To an extent, allow the employee to be creative in their job tasks. Example: You create a list of specific job tasks for an employee to undertake. However, you notice the employee is not performing to the best of their abilities. Instill confidence in the employee by offering them some flexibility and creativity in the tasks. Rather then simply completing the task, they will attempt to go above and beyond. While there are many ways to motivate your employees, these five simple tips can create a motivating work atmosphere without requiring much time or money from you. This post really reminded me of a book I just read by CEO Patrick Thean called “Rhythm, How to Achieve Breakthrough Execution and Accelerate Growth” (http://www.patrickthean.com/). This book is all about getting you and your employees to grow and thrive alongside your company. The book has some really valuable advice and an easy to execute strategy called the Think-Plan-Do process that seems to be fail-proof. I honestly believe it can set you on a strong and sustainable path to unprecedented success, professionally and, in some cases, personally. Additionally, unlike most other instructional works, this book isn’t painful, but actually enjoyable to get through. I strongly recommend to anyone, young or old, working within the business world. Great article, Andrew. It’s true nothing can be accomplished if there is no goal. I had a good read, thank you for sharing these with us. I really like this and your points here. I think an important one for me is “communicating well with your manager” I don’t think I’ve done that recently and I am responsible for the awkward feeling between us. Your tips about meeting regularly has given me a great idea. Thanks! I have an issue with an older female in the work place. Her inability to adequately perform the requirements of her job position is failing. Many of her job tasks are now falling on other department members. I ask what needs to be done and by whom. How is this fair to the other members? She has been trained many times but doesn’t retain any of it. Great post! I’m sure this will be very useful to people who are currently looking for a new job – they need to keep these things in mind to find a good fit! Thanks for sharing this type of article. Postive work environment feel like a second home. I especially like the “Hire Top Performers” in our case this new young work force has caused me to make some changes in how I stage our work environment. I recently read Warren Wright’s book Second Wave Millennials which has become my best resource. It has helped me so much with making sure I foster productivity with these young professionals and it’s working. More production =More Profits. I like that!